Adults who are considering orthodontic treatment with braces in Goleta, CA are finding that the patients of Dr. Raymond Kubisch and Dr. Andrew Ferris and the team at Kubisch & Ferris Orthodontics have more positive treatment experiences and more successful outcomes. A concern for adults considering orthodontic treatment with braces is that their treatment will not fit into their otherwise busy schedules, and that orthodontic care will become a burden. Adult patients of Dr. Kubisch, Dr. Ferris, and the team at Kubisch & Ferris Orthodontics are advised to follow these simple steps to minimize their efforts and to maximize the successful outcome of their treatment with braces. 1. Pick a treatment plan that works for your lifestyle. The first step in ensuring that your orthodontic treatment goes well is selecting a treatment plan that fits seamlessly into your lifestyle. Adult patients of Dr. Kubisch, Dr. Ferris, and the team at Kubisch & Ferris Orthodontics are able to explore the many treatment options available to them including traditional metal braces, clear braces, or Invisalign clear aligners. 2. Know the care requirements of each treatment option. Dr. Kubisch and Dr. Ferris will meet with you and discuss in more detail the benefits and drawbacks of each system to help you determine what option is right for you. 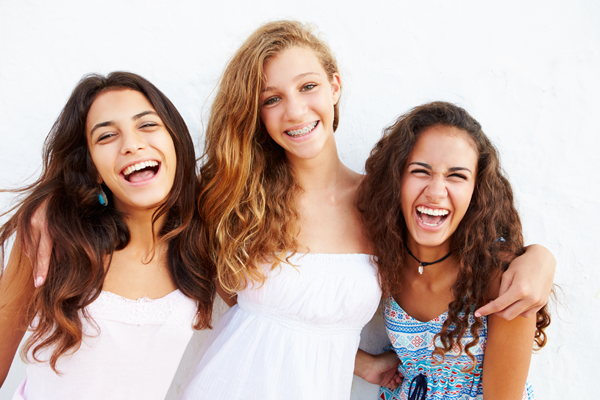 Clear braces sometimes require more careful care, as they are easier to stain and break. Invisalign is removable and easy to clean. But, if you are extremely busy and tend to lose things, the removable nature of Invisalign makes it easy to misplace or forget. 3. Keep your adjustment appointments. Any setback or delay in treatment, even if it is a small one, may compromise the timing of your treatment. During these appointments, Dr. Kubisch and Dr. Ferris will check on your progress and make any adjustments to your appliance that are needed to keep your teeth moving correctly. Conscientious adherence to adjustment schedules will ensure that your treatment will always be progressing on schedule, and you may even finish your orthodontic treatments earlier. 4. Use appliances as directed. Sometimes appliances like rubber bands or retainers will need to be employed during your treatment. Dr. Kubisch and Dr. Ferris recommend to his patients to always wear these appliances exactly as directed and to make wearing them part of their daily routine. Reserve some time daily (at the same time, perhaps after lunch or right when you wake up) to care for your braces and appliances properly, so that eventually it feels second nature. A consistent daily regimen of care, following the directions appropriate for your treatment, will help relieve the stress of worrying about tending to your orthodontics.